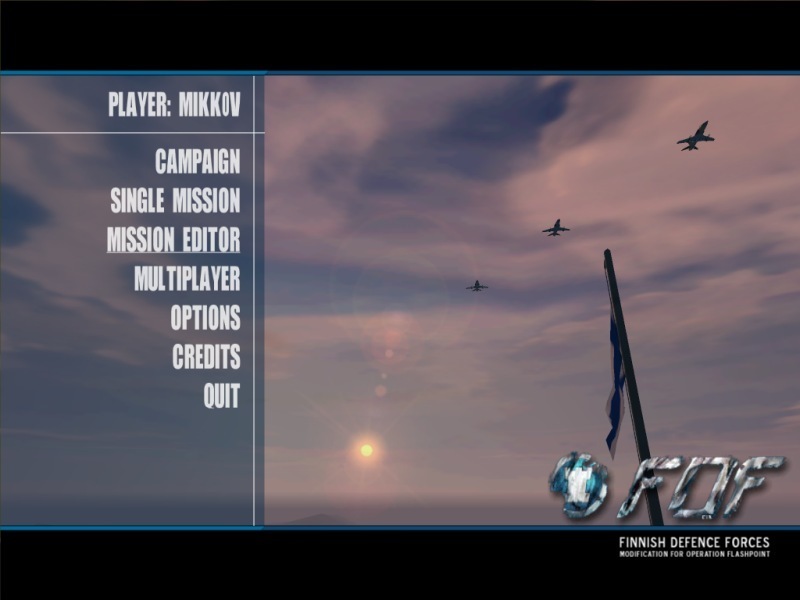 Screenshot of brand new FDF mod user interface which has been totally reworked from default OFP GUI. Fonts are reworked for more clearer appearance and menus are changed to more hi-res ones to reduce scrolling in multiplayer setup screens etc. It is simply much better than the original GUI. Look forward for more updates about the user interface later.